IBCCES helps businesses better serve guests and clients with cognitive disorders, including autism, sensory disorders, and other, sometimes invisible, disorders and disabilities. We work to create inclusion and acceptance for these individuals with research-based training and certification programs designed for a variety of industries. Why Should You Become a Certified Autism Center? 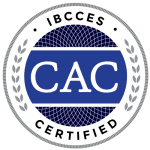 The Certified Autism Center (CAC) certification recognizes organizations that have a highly trained staff and are fully equipped to serve the fastest growing population of developmental disorders.